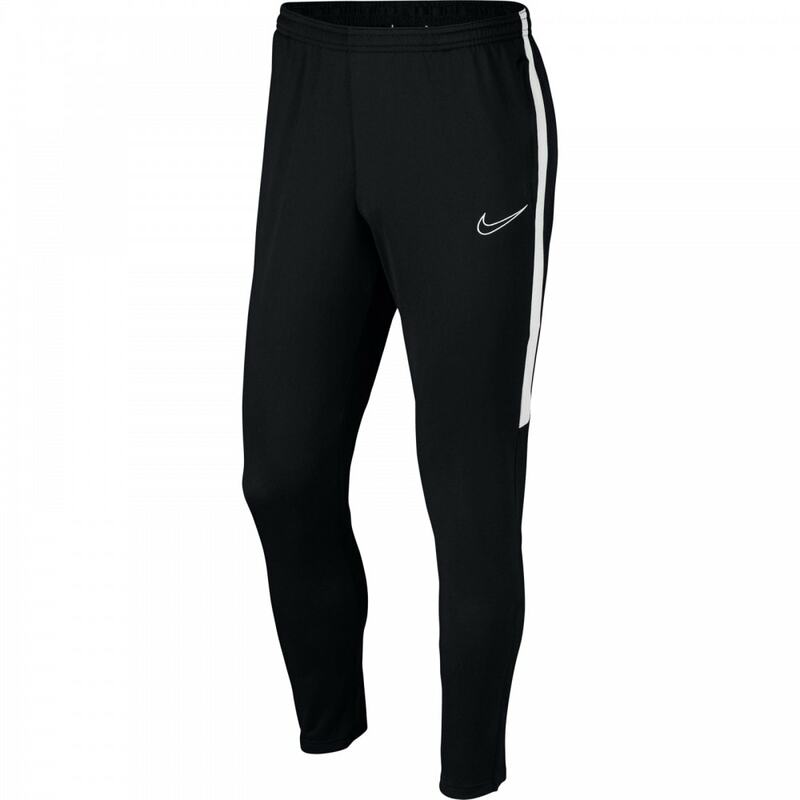 These Nike Dri-FIT Academy Joggers are 100% recycled polyester and black in colour. They're full length with an elasticated waistband and zip opening on the ankle to make changing easier with boots on. They have zip fastening pockets on the sides and drawstring for a custom fit. It features a white, mesh stripe down the sides for a breathable feeling. Nike Swoosh branding appears embroidered on the leg in white.